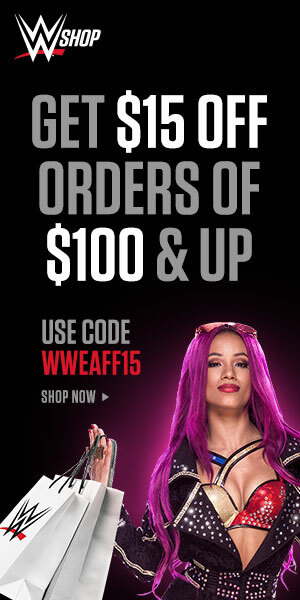 It’s officially a week from the WWE Draft and the Brand Extension is in full effect. It’s also right off the heels of arguably the best PPV that WWE has produced this year and the best Raw of the year (Go read our Raw review). Can the WWE keep the momentum going for Smackdown Live? Let’s find out! Let’s make a war out of this. #TeamSmackdown. 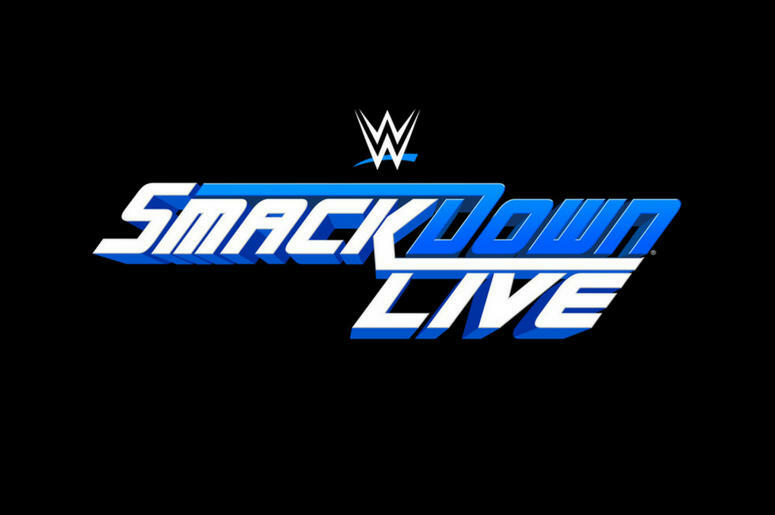 WWE Smackdown Live comes to you on the USA Network Live at the First Niagara Centre in Buffalo, New York. Little note, Raw had their commentators next to the ramp but Smackdown still has them at ringside. The show starts with Daniel Bryan and Shane McMahon walking through the curtain, explaining that this new Smackdown is all about the fans and in-ring talent. This is all happening while all of the wrestlers are in the ring. The new Smackdown opening video plays. Kicking off with a normal “Yes” chant going on, the wrestlers surround the ring and Bryan and Shane are in it. They announce the first exclusive Smackdown Pay Per View on September 11th and it will be WWE Backlash. Shane then says that the first thing they need is a challenger for Dean Ambrose’s WWE Championship at Summerslam. Dean Ambrose comes out and after talking a bit about him winning at Battleground says that everyone wants what he has s he wants to know who will step up. Daniel Bryan grabs the microphone and says that what he loves the most about Dean Ambrose is that he is willing to face anyone at anytime so he announces a six pack challenge match for tonight to determine the number one contender for Dean Ambrose. The participants will be John Cena, Bray Wyatt, Dolph Ziggler, Baron Corbin and AJ Styles, because the sixth participant will go to the winner of a Battle Royal which is next. 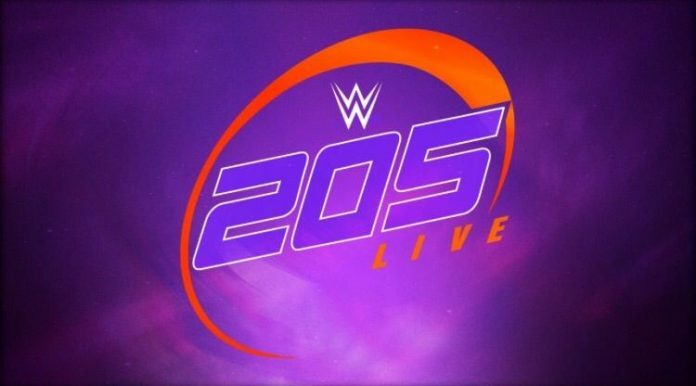 Some people were complaining about the lack of depth of the Smackdown roster which I believe is a little unfair to say about the first episode as we have returns, debuts and pushes still waiting to happen. 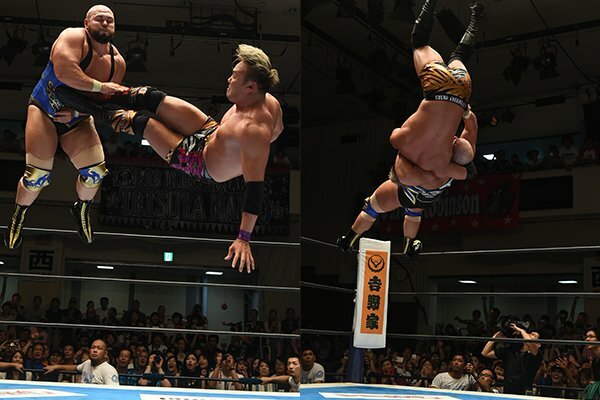 In a fine battle royal, Apollo Crews won when he eliminated Kane at the end. We all know Crews is not winning the six pack challenge, so being an Alberto del Rio fan I’m a little pissed they didn’t give the match to him. He was clearly the guy with the most star power in the match and wasn’t even a part of the final four. On the other hand, this will be a good way to introduce Apollo Crews to a bigger role in the card. After the match, Renee Young interviews Crews and says he can’t start his celebration until he wins the six pack challenge later on. A vignette is played hyping and announcing the return of one of the best pure athletes in WWE history, Shelton Benjamin is coming back to Smackdown soon. A video is played with Dolph Ziggler talking about how he has been banging his head in the WWE glass ceiling for years and forgot the 5 year old kid from Cleveland, Ohio who dreamed of being the best. Becky Lynch makes her entrance followed by Natalya. 2) Natalya vs Becky Lynch. In a fairly good match but a bit worse than their Battleground match, Becky Lynch defeated Natalya by submission with the Disarmer. After the match, Renee Young interviews Becky Lynch and asks her if this feels liker her redemption after she lost at Battleground, Becky Lynch said to call her Becky Balboa. After this, Alexa Bliss’ theme plays and walks out and cuts a really good promo about her being the personification of the New Era, she quickly was interrupted by Naomi who said she was opening the mouth without even having a match yet, then Carmella came out and said she was here to make Smackdown fabulous. Carmella was interrupted by Eva Marie who didn’t say a word but a narrator talked over her theme. I didn’t have a problem with this segment, but if it doesn’t lead to anything then it truly was a filler and a rushed segment. I think it was just there to introduce all the women involved in Smackdown’s women division. Hopefully it leads to a Championship Scramble or a Multi-Woman match for Smackdown’s Women’s Title at Summerslam. I really like Eva’s role as she didn’t talk at all and her narrator talked wonders about her. Eva’s the top heel clearly. A video about Baron Corbin like Dolph Ziggler’s is played where Baron says he is winning tonight for him and for no one else. Maryse and the Miz are in the ring with Maryse introducing The Miz for MizTV. The Miz talks about MizTV being now exclusive to Smackdown and he proceeds to introduce his guest and he announces him as the Legend Killer, a former World Heavyweight Champion and the Current Intercontinental Champion and greatest champion of all time, himself. He hypes himself for a bit saying he was the hero these people needed until Randy Orton’s music hits and comes out and argues a bit with The Miz. They talk about the match with Lesnar probably being Orton’s first match back and most likely his last match ever. Orton responded by saying that it doesn’t have to his first match back and challenges The Miz to a match right now. The Miz says no as he doesn’t just give out matches like that, Randy says they should make it a friendly non-title match. Maryse is the one who accepts after Orton tries using her to embarrass The Miz and The Miz looks a bit pissed. 3) Randy Orton vs The Miz. A big “To the point” match, Randy Orton defeated The Miz by pinfall after 2 RKOs. This match only had the purpose to put Orton on the show and put him over. It was a really slow match with The Miz focusing a lot on Randy’s shoulder and after the first RKO Randy took forever to hit The Miz with a second one. This might be just me but Randy looks really weird with white wrist tape on, although it’s something he used to do in the past. I also don’t like his new shirt. 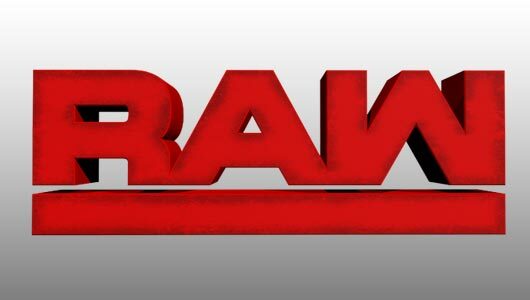 A video plays hyping Brock Lesnar’s return to Raw. A really good video announcing American Alpha’s debut next good is played. A local competitor is in the ring and suddenly, Heath Slater enters the ring and attacks him, he grabs a microphone and talks about there being a mistake with him not being drafted to neither Raw or Smackdown. He said he deserved to be in the main event to make it a seven pack challenge and started a “Sign Heath Slater” here the fans actually followed. Shane McMahon came out and told Heath that were better ways to get a job, to send a resume, Hath replied that the only resume he needs is in the WWE Network as he is the brain of the Nexus, the Corre, 3MB and he is a former 3 time tag team champion which makes him the hottest free agent out there. As he kept talking, Rhyno appeared behind him in the ring and Shane McMahon told him he in fact saw the hottest free agent in the ring, Heath turns around and Rhyno hits him with the Gore. This was a really good promo from Heath. Now, AJ Styles is the one talking about tonight’s main event, where he talks about not knowing why Shane and Bryan have it in for him as they didn’t draft The Club and then make him compete to be the number one contender and plugged his Beat Up John Cena thing. A video of Mountain Dew with the WWE best moments plays, this time showcasing the Wrestlemania 30 main event. Coming from commercial, Bray Wyatt talks about the main event as well, he calls himself the beginning of the end and says all five men will fall. 4) Bray Wyatt vs Baron Corbin vs Dolph Ziggler vs Apollo Crews vs AJ Styles vs John Cena. In a really entertaining match, Dolph Ziggler won the six pack challenge by pinfall when he pinned AJ Styles with a Superkick. I didn’t think Ziggler was going to win but it is going to be a great match at Summerslam. Dolph Ziggler desperately needs a push or to shake up his character. Dean Ambrose then comes down to the ring and has a staredown with Dolph Ziggler. 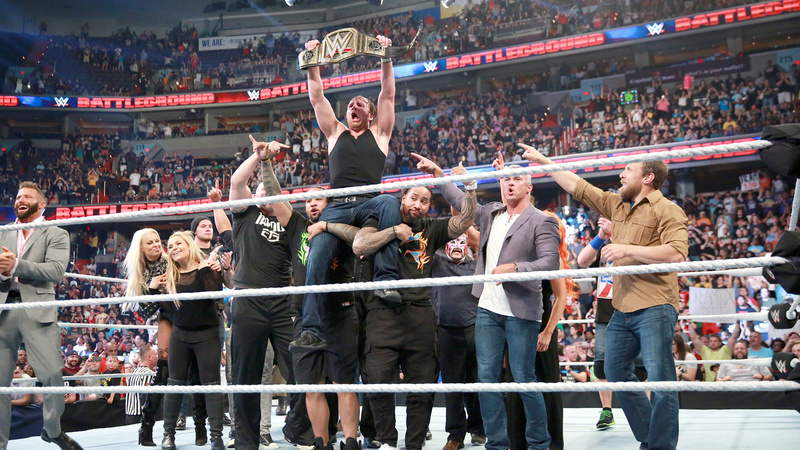 Daniel Bryan and Shane McMahon also come out to raise both Ambrose’s and Ziggler’s hands. I really like this take on a face vs face match as they didn’t smile to each other or shake hands, Ambrose made it feel really intense. That’s Smackdown Live! I felt like Raw was definitely better but Smackdown is looking like it’s focusing on the long run as a week to week show rather than pulling all their cats out of the bag right away. It will be more and more of an awesome show, week by week. I didn’t have a lot of problems with the show and it really felt like a different product. 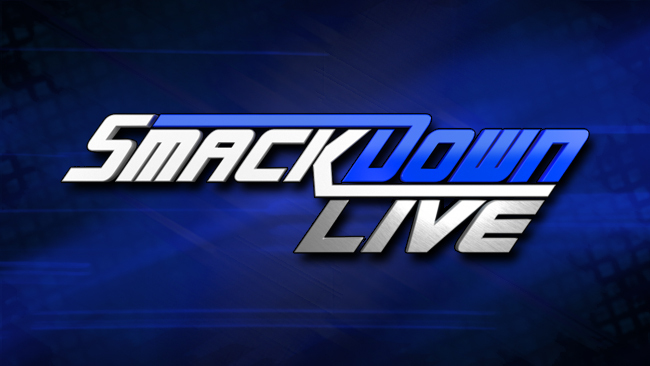 I would give an 8.5 out 10 to the first edition of Smackdown Live in the New Era. Hopefully it keeps improving with the in ring additions of American Alpha, Rhyno, the returning Shelton Benajmin, the rumours of Curt Hawking and stuff like that.  Thank you for Reading our review and don’t forget to follow us on Instagram @WammysWrestlingUniverse and come back next week for your weekly Smackdown Review! #TeamSmackdown.